Mark Salmon provided exemplary representation in the recent sale of our Tahoe home. With the real state market in California in a constant flux, Mark used cutting edge as well as contemporary marketing approaches including video walk throughs, internet marketing and real estate publications to market our home. Mark’s knowledge of the local market was such that we had confidence that our home would be represented to its fullest potential. Mark is an extremely professional realtor who prides himself on client service. We were extremely pleased with Marks negotiation skills and ability to secure multiple offers on our home. In summery Marks professionalism, experience and knowledge of the Tahoe area enables him to represent sellers and buyers in a relaxed effective marketing environment. 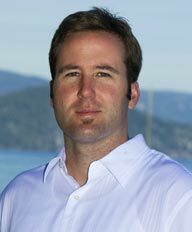 We will not hesitate utilizing Mark again and believe he is a dominate individual in the Tahoe real estate market. "My wife and I just wanted to write you a note to express our sincere appreciation for the excellent job you did for us in the recent sale of our Lake Tahoe... continued"